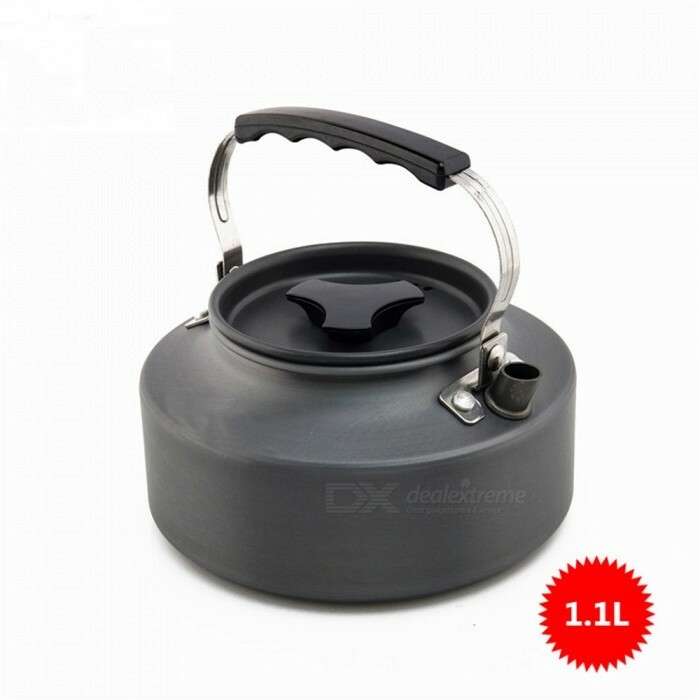 – This outdoor cooking set is designed for one or two people. 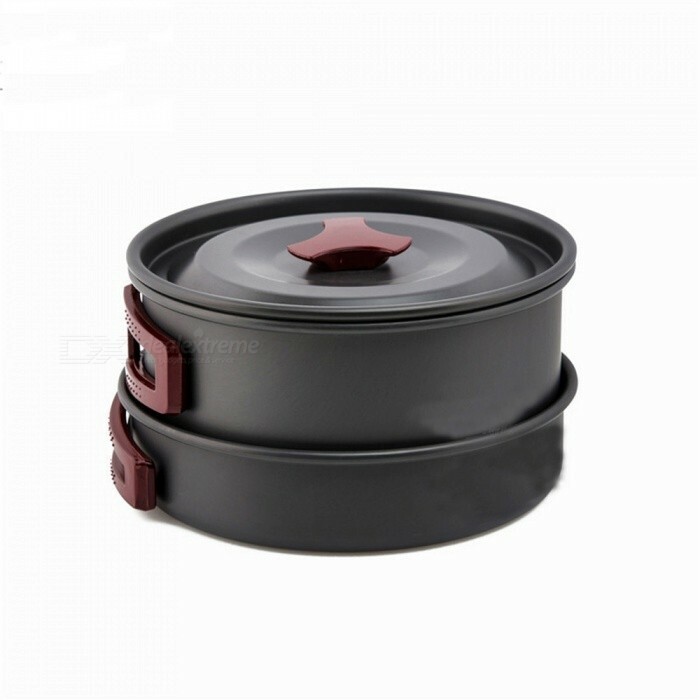 – The pot and frying pan are made of anodised aluminum, which makes it solid and light. – There are foldable handles on pot, frying pan and soup spoon. After use, they can be folded to save space. – Small size and portable. 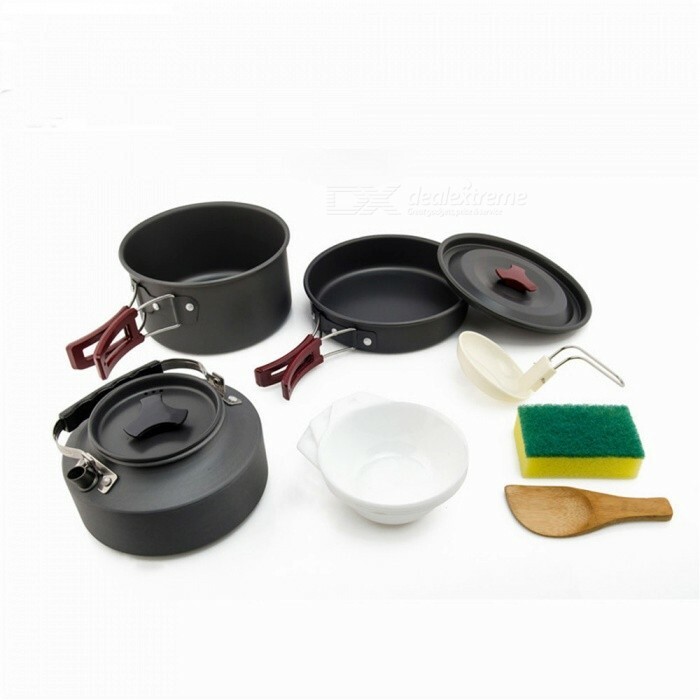 And all the objects in this cooking set can be stored together in a mesh bag for convenient carry. – Thoughtful consideration: It is supplied with a loofah sponge to clean these utensils. – It is suitable for camping, hiking, backpacking, picnic and other outdoor activities.